At Car‑Wal Garage Doors, we have exactly what you’re looking for. Choose from a wide range of styles and find the perfect fit for your home or business. With so many to choose from, we definitely have a garage door to fit your budget, needs, and style! At Car‑Wal Garage Doors, we pride ourselves on our superior customer service and incredible start‑to‑finish quality on all of our installations and garage door repair in Guelph. Our experienced and skilled team can repair any garage door and garage door opener brand. And we guarantee precise, expert installations on all of our garage doors, too. With years of experience working with Garaga, our installers and technicians are the most skilled and experienced in the business. They have the expertise you need to guarantee the smoothest, most streamlined installation process for all of our garage doors. Ready to design your dream garage? Do it right now! At Car‑Wal Garage Doors and Garaga, we know that your garage door can either greatly improve or seriously detract from your home’s curb appeal. That’s why we will always help you make the best design decisions possible. We’ll help you pick a design that will bring you years of comfort and peace of mind while giving your house a curb appeal facelift. Using our Design Centre tool, you can create your own custom garage door to perfectly match and harmonize with your home and your taste. Start by selecting a door model from the available options. Then choose the colour you like best and finish up with fun design additions – like windows and doorknockers – and you’ll have a magnificent and unique garage door in no time. In the market for a new garage door? 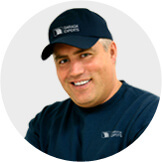 Check out our expert advice! There are so many products available on the market today that it can be easy to get overwhelmed. But with our experience and expertise with garage doors in Guelph, Ontario and surroundings, we can make the whole process a lot easier for you. The team here at Car‑Wal Garage Doors has more collective experience with garage doors than anyone else in the business, and we can give you the advice and guidance you need to find the right door within your budget that matches both your needs and your personal style. We will always take the time to explain all of your options and all of the products available to you, to find the best insulation for your specific garage door, and to educate you on all of the best practical accessories that you can add on, as well! At Car‑Wal Garage Doors, we pride ourselves on offering only the very best products on the market. All of our products are guaranteed to be safe, durable, and highly efficient – qualities that all LiftMaster garage door openers share. LiftMaster garage door openers are as safe as they are convenient thanks to their incredible reliability and their superior operating system, which ensures that your garage door is always properly closed. With LiftMaster’s latest models, you can now control your garage door from anywhere in the world just by touching a button or swiping the screen on your smartphone, tablet, laptop, or desktop. Of course, most of us use our garages to park our cars, but have you ever thought about how often you open and close your garage door to enter or exit your home on foot? To ensure that you’re always safe coming and going from your garage, we highly recommend that our customers get regular maintenance checkups on their garage doors’ operating systems. 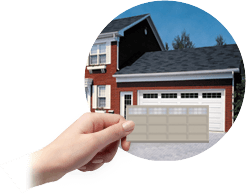 At Car‑Wal Garage Doors in Guelph, ON, our expert garage door specialists are here for you. Our annual ten‑point maintenance program includes a complete and thorough visual door inspection, lubrication of all moving parts, and any necessary minor adjustments. We’ll do everything you need to rest easy and know that your garage door is in good working order. Schedule online your garage door repair in Guelph!